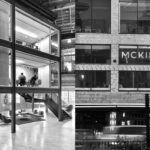 Midsize ad agency McKinney can make brands shine. In addition to its creative ad services, the company also offers brand identity, graphic design, public relations, and corporate communications services. McKinney has added luster to such brands as Audi of America, Lands’ End, Travelocity, and XO Communications.